Founded by successful angel investors Magnus Bergman and Jacob Key, together with Stockholm Innovation and Growth (“Sting”), the fund has established itself as a leading seed VC fund in Sweden with 8 investments done in 2018 and more to be announced shortly. Luminar Ventures has made a $60M second close of its fund, and appointed Linda Höglund General Partner of the fund. Linda has a unique background in leading positions in fast scaling tech companies and unicorns, including Klarna, one of the largest European fintech companies and Grab, the leading ride-hailing platform in South East Asia. She has also been CFO/Deputy CEO at game developer Dice and part of the acquisition by Electronic Arts where she became CFO for the games division in Europe. Linda has since the launch of the fund been part of Luminar Ventures’ investment team and will now become General Partner together with Jacob and Magnus. “We are thrilled to have Linda on the partnership team. Linda has a long and successful background as entrepreneur and in management positions in global unicorns. She really knows what is required to scale tech companies and has a unique ability to drive execution and strategic direction. Linda has already showed that she is an invaluable member of the team, and she will be a tremendous partner to our portfolio companies preparing for global growth.”, says Jacob Key. “Linda has unique talents that combines her long-term strategic thinking with an exceptional effective hand on execution. She is also a great leader, covering a very broad spectrum and we are super excited that she now steps up as full partner”, says Magnus Bergman. Luminar Ventures is an active seed venture fund that adds more than just financing to its investments. The team has during its first year run strategic and growth workshops, supported with key talent recruiting, run team culture projects, helped develop growth ready financial models, supported the teams with value adding sustainability work, made introduction to other investors, etc. The operational support has been provided both through Luminar Ventures’ core team and its extended network of strategic partners. &frankly - Join the international crusade to put more smiles out there! In the growing knowledge-based economy, competence and employees have become the most important assets and drivers of company performance. To stay competitive, it is critical to make sure employee satisfaction stays high at all times. This has become more complex in a world where digitalization, change and speed have generated stress leading to higher rates of sick leave and less loyalty towards employers. There are numerous alarms out there, a Gallup report estimated that a lack of engagement costs U.S. businesses between $450 and $550 billion in lost productivity each year* and we see very similar devastating signals for business around the world. What if there was a way to detect and prevent employee dissatisfaction at an early stage? We were introduced to the Caroline and Peder by our network. The effectiveness of the team hit me directly as they were executing at an incredible speed and had quickly become a leading player in Sweden. This signaled both strong growth efficiency and a large untapped demand, two parameters that impressed us a lot. Today we are proud to present our latest investment &frankly! First of all, &frankly is dedicated to bring more smiles to every workplace. They do so through a Saas based employment engagement pulse tool. The tool enables managers and team leaders to keep a real-time pulse on employee stress levels, work engagement and satisfaction with management and colleagues. Historically, measuring employee satisfaction has been performed yearly through questionnaires and manager review processes. It has been almost impossible to detect early signs of dissatisfaction, stress or misalignment with strategy. &frankly not only simplifies the process of evaluating employee satisfaction they allow companies to act proactively to prevent problems before they occur. It saves time, money and improves the daily work life for everyone. The service is completely intuitive and accessible from both desktop and mobile platforms. The market for &frankly includes essentially all SMBs and larger corporations. Competition is out there, but most other services are full enterprise suite offerings targeted at C-level management. &frankly’s tool is accessible by the entire organization, from division heads to team managers. Similar to Slack, Trello, Dropbox, and others the &frankly solution can be adopted by employees long before their head of procurement gets involved, a model we very much look for in business-to-business solutions. Next step for &frankly is to launch internationally and continue to grow with double digits each month. We are very excited to support Caroline, Peder and their talented team on their journey to global success. Let’s put some more smiles out there! With love from Stockholm as Peder and Caroline puts it. 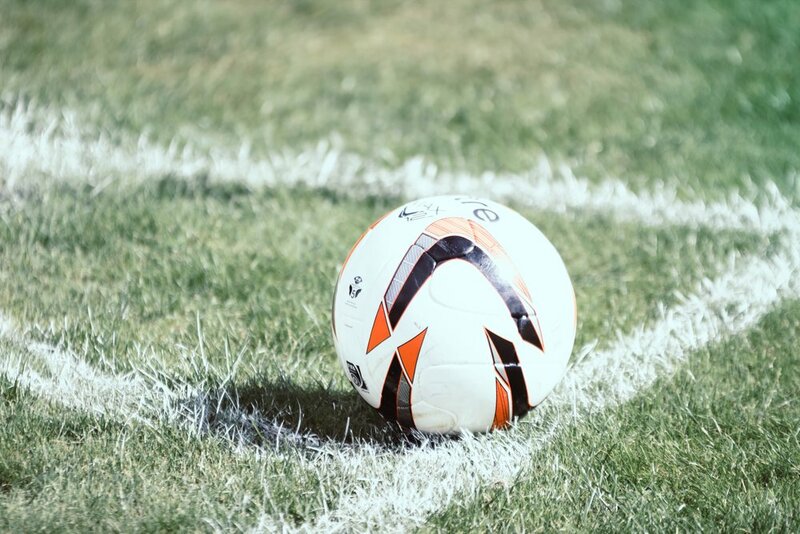 As the summer has passed and which started off with a focus on the FIFA World Cup it feels exiting to announce our investment in Heja – the fast growing app for youth sports teams internationally. Heja has built a platform for sports teams to communicate, plan and interact in a smart way with the mobile interaction in focus. This brings the teams together and facilitates for coaches, players and parents alike. Many sports team communication today relies on paper handouts, emails and text messages. It can be hard to keep track of email threads, find relevant information and get an overview - and for this Heja provides a solution. Using Heja, all the team’s info and communication is gathered in one place, providing a fast, reliable and collaborative way for all those involved to find the information they need. The platform is tailored to the needs of sports teams, focusing on mobile and usability. Heja have built a great product, with is shown by its high engagement and high rates on App Store. Part of what attracted us with Heja was the strong team behind the company. Founders Mikael Blix and Johan Berglund who have been operating Laget.se, a platform aimed at the Swedish league sports market, since 2004. The founders have a long background in team sports, understand the challenges involved and know the user base very well. They have also created a strong culture and team and has shown strong organic growth and product development. Laget.se has reached over 2 million registered users in the Swedish market. In less than a year since launch, the founders new venture Heja has reached over 100,000 registered users. The majority are in the U.S. market, with the UK coming in second, and growing fast. Sports is a global business which engage billions of people and with the average American family spending over $2000 yearly on youth sports according to Times magazine. Communication for sports teams is a great digital entryway into the sports sector overall. With the infrastructure of Heja there is also a great potential for rolling out additional features. We at Luminar see great potential in Heja and its team to continue the expansion globally. Insurello was founded by Marcus Janback, a Stockholm School of Economics graduate, and also a former elite level American football player. Marcus has first-hand experience of injuries from his sports career and trying to work through the maze of different insurance policies to make claims. As a born entrepreneur Marcus did not only manage to work through all the extensive processes and administration to make and follow his claims, he also saw an opportunity to make the insurance industry more customer friendly through new technology. He also knew to seek help from great advisors from the get go, starting with his mum, with over 30 years’ experience in the insurance industry. Solving your own major pain points, and seek experienced advice in that process, are two strong indications of a good start of venture journey. I think we all have similar experiences from different part of this process – whether it be delayed flights, stolen bikes, or a dented car, and can appreciate the upswing in companies like Insurello, looking out for and guiding us through the quite complex and time-consuming processes that insurance claims can entail. Right from the start, we fell in love with the team and their high ambition to provide this guidance to the wider public on a global scale through digital technology, and we are very excited to be part of their journey and to support Marcus and the team in building a great company. Insurello’s go to market service offering includes helping clients find personal insurance payouts that they might otherwise have missed. The company acts as an intermediary between its clients and the insurance companies, handling their claims, in exchange for a per centage of any resulting payouts. ach year in Sweden alone, insurance payouts worth over 6 billion SEK go unclaimed due to the difficulty of sorting through policies and filing the correct claims to the right insurance providers, for individuals who have sustained injuries or scars. Insurello is a young company but they have already received thousands of requests from people with severe injuries, out of which they have supported many through the claiming processes, resulting in fair compensations for the long-term consequences of their injuries. At Luminar we see what Insurello is offering as part of a larger trend of digitization in the insurance industry. Through digital technology, the whole industry can become more transparent, customer focused and efficient. We also believe that companies like Insurello can help the established insurance providers streamline their processes, to the benefit of both their own businesses and their customers. The potential for expansion of the service, both into other types of insurance, as well as into other geographical markets is enormous. We are thrilled to be part of this pre-seed round of investment in Insurello and we’re excited about the possibilities that lie ahead of us to create value in this space. At Luminar, we are searching intensively for founders looking to help small and medium sized enterprises (SMEs) in various ways. This segment is the backbone of the European economy representing more than 99.8% of all companies and 57% of value added. The number one challenge for SME’s, according to a study by the European Comission, is to find new customers. That’s why SMEs across the globe now spend over $100bn annually on online services that help them find new customers, and the number is increasing. At Luminar, we love companies that solve big challenges. That’s why we’re excited to announce our latest investment in Albacross. Using data from their free, lead generation tool used by thousands of companies across the globe, Albacross’ technology can connect the dots on which companies are the most relevant to each other and allow them to connect. By doing that, Albacross is building a global ‘business graph’, opening up their platform and providing valuable services to both enterprises and SME’s. LinkedIn and other professional social networks enable people to connect, which in turn can lead to a business relation. The social graph works as an enabler to find relevant people to connect to, which enriches the platform and brings value to the users. The business graph built by Albacross works the same way but for businesses. We thrive on working with ambitious founders who think big looking to win in a large market. The founders (Victor, Viktor, Jakub, Carl-Richard and team) have shown solid strategic thinking and strong commitment during the first years. They have also proven the often underestimated ability to attract strong advisors and angel-investors with experience from companies like Spotify, Facebook, Truecaller, NA-KD and iZettle. At the time of writing, Albacross is onboarding around 1 000 new companies per week to their platform and the ambition is to become global leader in their segment in only a few years. Luminar are proud supporters and also happy to join forces with our friends at Ventech as co-investors. We look forward to supporting Albacross and being part of their exciting journey. Today, we’re excited to announce our first investment at Luminar Ventures: Instabridge. Instabridge; a Stockholm based company helps users find and connect to fast and free mobile internet wherever they are. Internet access is considered a human right by the United Nations, and access to the internet is proven to reduce economic and gender inequalities, stimulate economic growth and giving citizens access to important public services. Yet getting online is still a challenge for billions of people. Instabridge aims to change that. 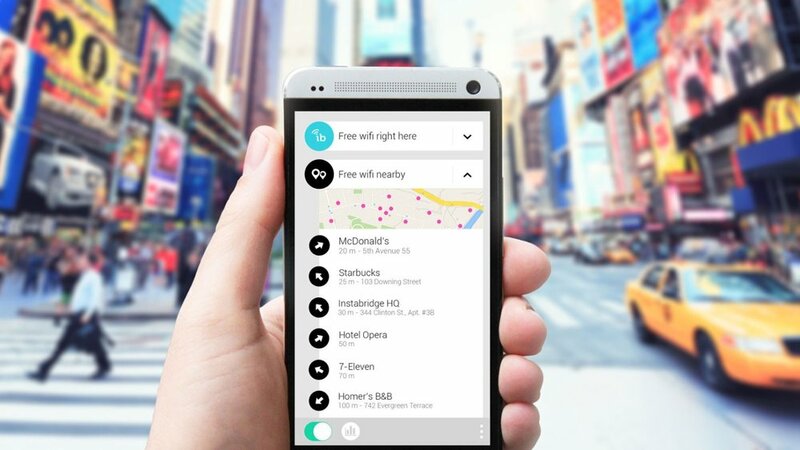 Instabridge is offering an app that has connected millions of Wi-Fi hotspots globally into a virtual mobile network, in which the users can seamlessly reach the Internet for free. This is a massively appealing alternative to mobile internet access. In most countries data plans are still expensive, and in developing countries mobile networks have limited reach and bandwidth. Although available mobile internet capacity from operators will continue to grow the need for mobile data will grow much faster. Users around the world want to watch video, listen to music and reach their social media, news and friends anywhere and anytime. Mobile Wi-Fi solutions like the one Instabridge has developed can bridge that widening gap between user needs and available mobile networks capacity. This is also the underlying premises for the coming 5G rollout, where Instabridge is very uniquely and attractively positioned. Moreover, more than half of the world's population is still without internet access, and companies like Facebook and Google are working hard to provide access in places where connection is a challenge. Google launched Project Loon, a network of balloons designed to provide internet connectivity to people in rural and remote areas. And Facebook has several projects aimed at expanding the reach of internet access, like the solar powered drone Aquila and a satellite launch with SpaceX. Making wi-fi networks more accessible is one way of helping people get online. For Instabridge, the vision is to help billions of users access the internet via hotspots and to build the world's largest WI-FI access network - without investing in new hardware. In China, this approach has reached major adoption. One example is the app Wi-Fi Master Key that also makes WI-FI access seamless. The app has become one of China's top 5 most popular applications. Instabridge aims to be the largest Wi-Fi access platform outside of China. Instabridge is founded by Niklas Agevik (CEO) and Erik Tigerholm (CTO). Niklas, who has been Instabridge front man is a very talented and hardworking product driven entrepreneur that could become the next tech super star from Sweden. I meet him five years ago and have been following him and the Instabridge team ever since. Over the years the founding team has been able to attract key people from Yelp, Rovio, etc to help executing on their global growth plan. As first angel investor in Truecaller 2009 I had the privilege to work with Alan and Nami throughout their exceptional growth journey, and I see a lot of similarities between Truecaller and Instabridge. Both companies are solving a very important and concrete need for billions of people, the product is community driven and super scalable with a focus on developing countries, and both companies have a very strong tech and product team executing relentlessly on an ambitious vision. Today Truecaller is a powerhouse in emerging markets with a leading position in India and now moving into the rest of the world including Africa. In the early years, Truecaller had a similar adoption- and growth rate. If Instabridge continues to grow in todays rate the company will have hundreds of millions of users in just a few years’ time. Instabridge is one of few companies in the Nordics that is working on solving the important challenge of global internet access. We see Instabridge as a continuation of the telecom heritage once pioneered by Swedish companies like Ericsson, and we’re proud to be part of this journey. The founding team has been investing in- and supported companies like Truecaller, Prezi, Sportamore, Soundtrapp, Klarna, Izettle, Challengermode and Karma and many others. Now we're looking for the next generation of entrepreneurs who are building global technology companies. With us we have STING - the leading startup ecosystem builder in Sweden and operator of Sweden’s leading accelerator program - and the Royal Institute of Technology (KTH) - one of the leading technical and engineering universities in Europe. In the coming weeks and months we will release a number of updates, articles and most importantly funding announcements. Stay up up to date by signing up to our newsletter (in the bottom of the page) or follow on Twitter. And for all entrepreneurs out there, fill out our investment form so that we can get to know you better - and join you on the journey. The following press release can be found in our press room at MyNewsDesk. Luminar Ventures today announces a 500 MSEK fund focusing on seed stage technology companies in Sweden. Founded by successful angel investors Magnus Bergman and Jacob Key, together with Stockholm Innovation and Growth (“Sting”), the leading startup platform in Sweden, the fund aims to provide experienced seed stage financing and active operational support to Sweden based early stage technology companies that are looking to disrupt or transform major industries with digital technologies and innovations. Founding partners, Magnus Bergman and Jacob Key are both former serial entrepreneurs and active angel investors with a successful track record of founding and growing tech startups. Over the last 10 years, Magnus Bergman made over 30 seed investments with a handful of great exits, making Magnus one of the most experienced and successful tech angel investors in Sweden. Before founding Luminar Ventures, Jacob Key made close to 20 early stage investments, with 3 successful exits to date. Joining the team are also Linda Höglund and Daniel Karsberg. Linda has a background as global CFO at fast scaling unicorns, including Klarna in Europe and Grab in South East Asia. Daniel joins Luminar from his most recent role as Investment Manager at Creathor Venture, where he led Creathor’s Nordic operations. “With a long background in working with startups we understand the challenges of building global companies. We founded Luminar to share our experience and bridge the gap between the angel and A-round with both financing and active professional support”, said Magnus Bergman, Founding Partner of Luminar Ventures, in a comment to the launch of the fund. Luminars’s core investment focus is on scalable digital seed stage companies from Sweden, founded by highly motivated and talented entrepreneurs with a vision to disrupt or transform major industries. The fund is looking to lead larger seed rounds through an average investment of around 10 MSEK, but will also do pre-seed and series A investments. "We are delighted to get started with Luminar Ventures and are already in closed dialogue with a number of promising startups across Sweden. 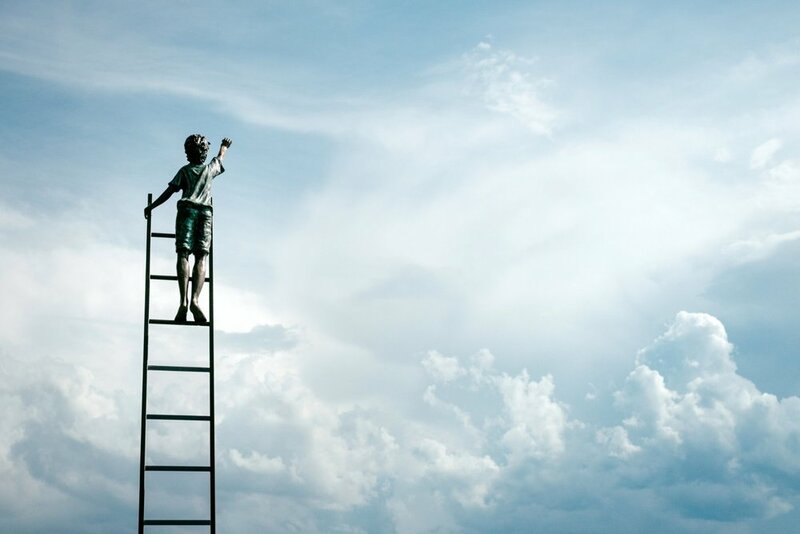 As former entrepreneurs and angel investors, our aim is to be more hands-on in the early growth stage than the general VC and to work closely with the founders of our portfolio companies to support them in finding product-market fit, driving that early growth and preparing the company structurally for a global expansion”, comments Jacob Key, Founding Partner of Luminar Ventures. The fund is co-founded together with Sting, the leading startup ecosystem builder in Sweden and operator of Sting Accelerate, one of the most established accelerator programs in the Nordics. Furthermore, the fund has a strategic partnership with KTH Holding AB, which is the holding company of the KTH Royal Institute of Technology - one of the leading technical and engineering universities in Europe. Luminar Ventures has also built an active network of partners throughout Sweden and within several industry verticals to ensure a high and qualitative inflow of investment opportunities. Major Limited Partners in Luminar Ventures are the European Investment Fund, through the Swedish Venture Initiative, Saminvest AB and a number of professional private investors and institutions. Luminar is a Swedish based venture capital fund focused on early stage startups with global scale and ambitions. Founded by experienced entrepreneurs and angel investors Magnus Bergman and Jacob Key, Luminar provides early stage capital, network and hands-on company-building support to leading startup teams throughout Sweden helping them build the next global success stories. Sting and KTH Holding AB are both minority owners of the holding company of the fund. They support the fund with a strong deal flow and access to their respective innovation platforms and networks. Luminar has also built up an active network of venture partners across Sweden and within multiple industry verticals. The four members of the Luminar Ventures are all founders and entrepreneurs themselves in numerous tech ventures. Magnus Bergman, General Partner, was the first investor in Truecaller and an early stage investor in other success stories such as Prezi, Soundtrap, Karma, and others. Magnus also founded the highly respected IT consultant Parallel Consulting Group that was sold to Icon Medialab for around 500 MSEK. Jacob Key, General Partner, has made early stage investments and actively supported companies such as Challengermode, Gavagai, Unacast and Pacemaker – with 3 successful exits in Sportamore, Vera&John and Vetzoo. Jacob previously held a Global Business Development position at Warner Music Group, where he was paramount in the transformation of the music industry through strategic partnerships with companies such as Spotify, Soundcloud, Tidal and others. Jacob has also founded Mediatude and Globalmouth, two mobile technology companies. 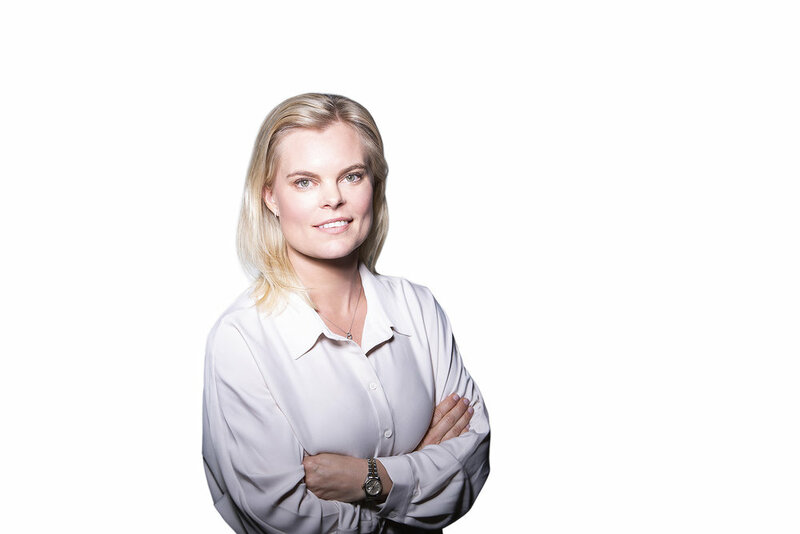 Linda Höglund, CFO has a background as global CFO at fast scaling unicorns, including Klarna in Europe and Grab in South East Asia. She was before this CFO/Deputy CEO at Dice a public company and part of the acquisition by the global game publisher Electronic Arts. Daniel Karsberg, Investment Manager, joins Luminar from his most recent role as Investment Manager at Creathor Venture, where he led its Nordic operations. Daniel was also part of the growth team at Izettle. Subscribe to our pressroom on MyNewsDesk for more news.